$65.25 per person, including all wines and spirits. Additional processing fees apply to all ticket sales. Get ready to make a Run For The Roses with a unique 5-course food, wine, and spirits pairing event! 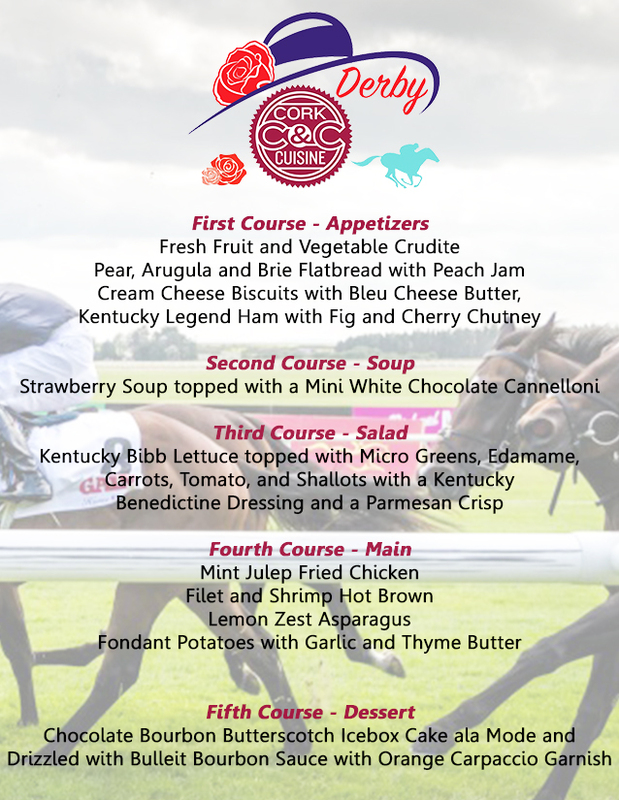 Come enjoy Cork & Cuisine – Derby on Thursday, May 3 at 6:00pm at the Owensboro Convention Center! Each Derby themed course will be expertly paired with a wine or spirit! Please see the menu below! Attendees can also delight in the fun of the famous race with Derby Trivia throughout the evening with prizes awarded to the winners! Special giveaways will also be part of the evening, including giving away a bottle of each of the wines and spirits featured throughout the dinner and some beautiful Derby themed centerpieces courtesy of Ivy Trellis. Don’t miss this traditional Kentucky themed dining experience! $65.25 per person, including all wines and spirits. Reservations only. Additional processing fees apply to all ticket sales. Special Thank You to Our Sponsors, Coastal Wine & Spirits of Kentucky, Ivy Trellis, and Creations Gardens.